Starting out as a lighthearted tale of family reunion before diving into surprisingly deep themes of humanity, Three Identical Strangers is a ride abundant with pleasantly unexpected turns. Built around sincere interviews from all sides of the story, this innocuous documentary provides substantial thoughts on autonomy, morality, and identity. 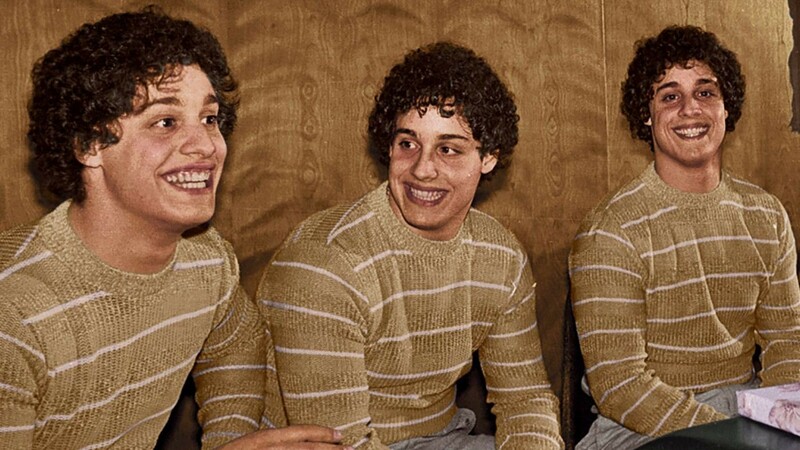 Though there are musty moments in the beginning of Three Identical Strangers, it is in service of setting up weighty conclusions; all of which are concisely blended together through a variety of mediums. Despite all this, the main drawback of Three Identical Strangers is its general lack of style. While the film does go to daring places, everything is delivered in the most familiar ways (transparent montages, scoring & shot selections). This may be a pseudo-negative since all aspects of Three Identical Strangers are executed well, yet execution is easy when a movie sticks to the technical basics. Overall, Three Identical Strangers supplies fresh performances within a fresh narrative but plays things too safely to fully stand out. Much like its subjects, Three Identical Strangers is a unique experience dressed like something we’ve seen before.